Google is still number one in search engine with over 83% market share so Pay Per Click (PPC) advertising on Google is the gateway to your customers purchase process. Funky Digital’s AdWords management and PPC services are designed to maximise your returns from advertising we cost-effectively reach your prospects as they move through the online buying process. We can boost the value and return on your Google AdWords and Pay Per Click advertising by drive targeted visitors, attracting the customers and clients you want to work with, and managing your online PPC campaign budget effectively for the very best ROI. 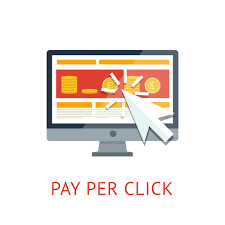 We often find that through our professionally managed Adwords PPC campaigns, they are optimised and rewarded with lower costs per click and decrease by up to 50% for competitive commercial keywords with strategic optimisation, this means more ad spend, more clicks leading to more sales and further improved return on investment. Are you new to Google AdWords or Bing Ads? We’ll provide you a comprehensive campaign that delivers from the very start. Dramatic reductions in unhelpful, wasted media spend, making your budgets work harder for you than ever before. Delivering improved returns. We provide regular campaign reports with comprehensive recommendations for continuous improvement & growth, strategically keeping you ahead. A close working relationship with experienced Google, Bing and Social Media PPC consultants. Your budget is strategically spent as if it were ours. Are you already a Google AdWords or Bing Ads user, who’s looking for a greater return? Quit struggling and book a FREE PPC Audit Today. If you want to remain competitive, its imperative to invest in an integrated advertising campaign.